One of the most popular products available from Adamsbuilt! The Learn To Fly Fish Combo is ideal for learning how to fly fish and sharing the joys of fishing with others. Complete with a 9ft 5wt 4-piece fly rod, lightweight composite fly reel, quality WF5F fly line and backing pre-loaded on the reel, and a soft cotton rod sock, it includes everything you need to get started! One of the most popular products available from Adamsbuilt ! The Learn To Fly Fish Combo is ideal for learning how to fly fish and sharing the joys of fishing with others. 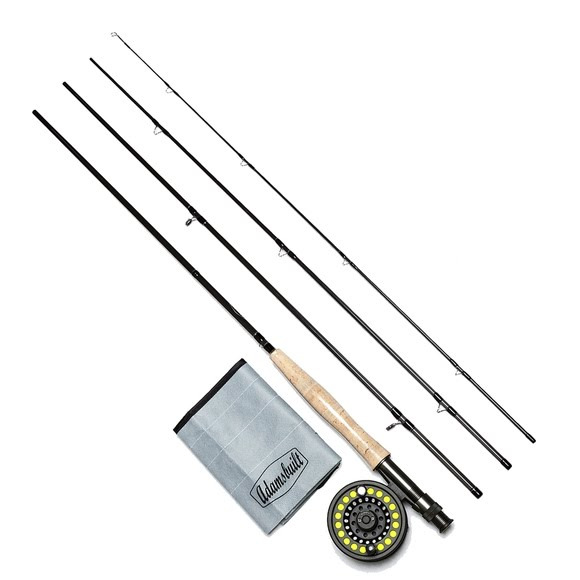 Complete with a 9ft 5wt 4-piece fly rod, lightweight composite fly reel, quality WF5F fly line and backing pre-loaded on the reel, and a soft cotton rod sock, it includes everything you need to get started!